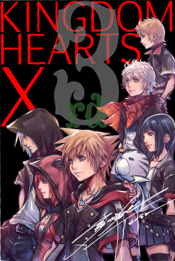 News ► Kingdom Hearts X[chi] 3rd Anniversary Key Art Released! The end is nearing for Kingdom Hearts χ[chi]. Three years ago the PC game was released in Japan and featured Keyblade weilders traversing the worlds in search of Lux for their Foretellers. Guided by Chirithy, your heart connected with new friends and an everlasting bond was forged. While the Foretellers were crumbling under the information of a traitor amongst them, you sought out answers with Ephemera. You saved Alice from losing her head. You demanded explanations with Skuld. You defeated the God of the Underworld. You witnessed Aced and Invi fight each other. You listened to Ava's pleas to see past the Keyblade War. And now, three years later, it's time for the end. In celebration of the third anniversary of χ[chi], a new Key Art was released. While previous ones featured our fateful heroes in different clothes (1st Anniversary, 2nd Anniversary) this one is the most interested of the three released. What's interesting is that since Sora is in his Kingdom Hearts 3 outfit, does this confirm Kairi and Riku's outfits for the much anticipated title? Will they be donning hoods for the final installment? Why does Kairi's hood have ears that mimic the Foretellers? As χ[chi] will be shutting down in September, the most recent story update featured the player in the Keyblade Graveyard. 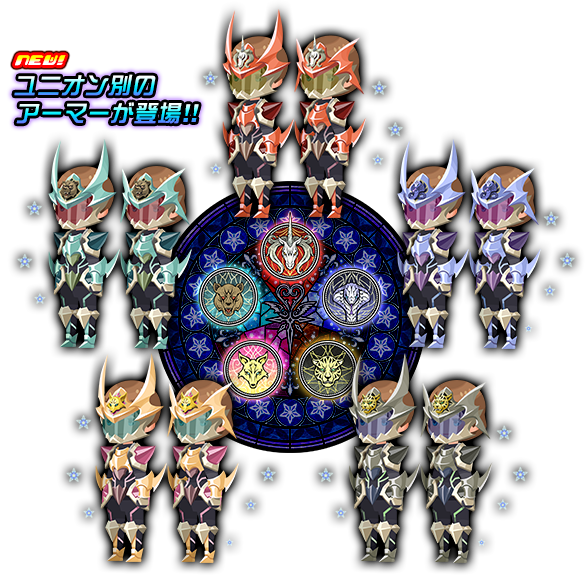 Now, players have the chance to purchase Keyblade Armor based on their Foreteller Union, which was first introduced in Kingdom Hearts Birth by Sleep! Kingdom Hearts Unchained χ will continue the story past Kingdom Hearts χ[chi] in "season 2" of the story. Kingdom Hearts HD II.8 Final Chapter Prologue will release in December for Playstation 4 and will feature χ Back Cover, a roughly 60 minute long movie about the Foretellers. Re: Kingdom Hearts ? [chi] 3rd Anniversary Key Art Released! edit: just kidding about the shiki part, its the animal ears that made me say that. but... is this more proof in the pudding towards the "chi is kairi's keyblade master training dream bubble" theory? or am i just rambling at 5am? regardless, awesome job on the thread chaser. thanks for the news! Is it just me or does Ephemera's scarf get bigger every time Nomura draws him? You're welcome. I hope X players go kindly on me since I didn't keep up with X or UX storyline past what the English version is at now so if there's any incorrect information or anything that needs to be added or removed, please let me know! 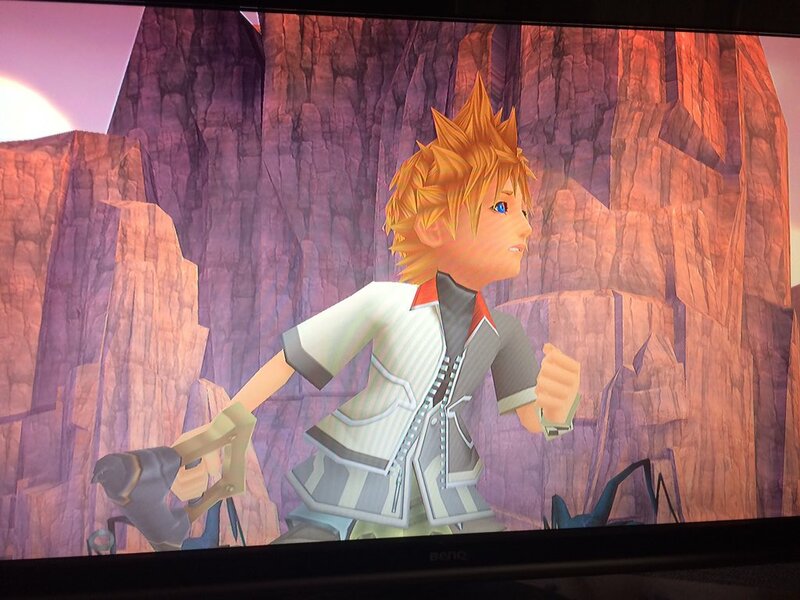 Looks like Riku, Kairi, and Roxas/Ventus will get new clothes, they could be. So is this a soft confirm of Riku and Kairi's new designs for KHIII? I like 'em. Fits the urban aesthetic he went for with Sora. Also, Riku grew his hair out again, thank God. What I find somewhat remarkable though is that the golden buttons on a silver ground on Riku's pleated collar are exactly the same ones Sora has on his red/black one too. I am loving those Keyblade armor's. Wonder if the Fortellers are going to be wearing them for the final clash. And as far as whether the character in the top right hand corner is either Roxas or Ventus, I'm going to assume that it's Ventus. My theory is that Ventus could have been a Dandelion that survived beyond the Keyblade War, and eventually found by Xehanort to be trained. Xehanort may have realised that he lived during the era of the Keyblade War hence his obsession with Ventus and linking him with the X-Blade. It's Ventus. I updated the article about that (https://twitter.com/bKvEBVAvUq/status/756057118570971136). Looks like Joshua took Riku shopping in Shibuya. You know, that's an interesting theory. His station has always had the keyblade graveyard on it too from what I can remember. So far as I've heard they're nothing more than avatar parts available to every player. No actual story connection. I'm right now also more on the assumption that the boy in the back is Ventus, but care to explain how you come from just an appearance in an Anniversary drawing made by Nomura to a theory like that? The 2nd Anniversary art had Roxas and Naminé in it, does that mean they're also Dandelions? Also, if we follow the hypothetical scenario that Ventus is/was one of the Dandelions how do you explain him still being a kid when found by Xehanort (he was 11/12 back then). The Dandelions lived hundreds of years ago and as far as we know they didn't know the secret of immortality so they won't age nor are they special kids that are ageless, so how can Ventus be still a kid when he's one of the surviving Dandelions? More logical would be that he maybe is the direct descendant of one or more of the Dandelions, but that's also murky. In the Xehanort reports MX talks about taking Ventus in because he could sense the boy's immense potential, which is a very general and vague statement that can mean many things. Maybe Flowerboy just gets cold easily and finds armor uncomfortable to wear? And why o why has it to be always Aqua? She's already the poster girl for 0.2 and 2.8 as a whole so maybe Nomura just decided to feature a different character this time for the 3rd Anniversary of X[chi]. Yeah... as for why Ven would have been so young and memoryless... maybe the dandelions didn't all 'wake up' or appear in the new world at once? Bah, I have no idea. But it's strange that he's pictured on the side with Ephemera and Skuld, is missing his armor, the Badlands always on his platform... some things seem to be adding up. I mean, I doubt Xehanort knew anything... but maybe he actually did. You mean a similar situation as Ven is in right now (sealed in a special chamber and his body not aging) also happened back then? That some of the Dandelions might have been put in "stasis" so to speak? Him placed together with Ephemera may stand for the double-cinnamon roll aspect, lol. The Badlands being always on his awakening platform does serve to throw up some suspicions though. Now I regret that we never saw Aqua's and Terra's platforms so far. Xehanort does not necessarily need to consciously know, but it might be possible that he instintively felt something. 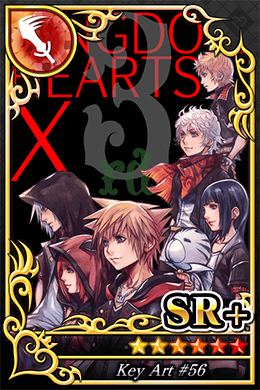 The 2nd Anniversary art had Roxas and Naminï¿½ in it, does that mean they're also Dandelions? Because the previous two anniversary images were just asthetic celebrations. Seeing as X is nearing the end of its lifespan, and Kingdom Hearts 2.8 is close to release, I feel as though this particular anniversary image is more than an aesthetic celebration. Plus, Ventus is out of place with the rest of the characters. Roxas was with Namine in the 2nd Anniversary picture because they're counterparts. Sora is with the Destiny Islands trio and Ephemera is with Skuld. 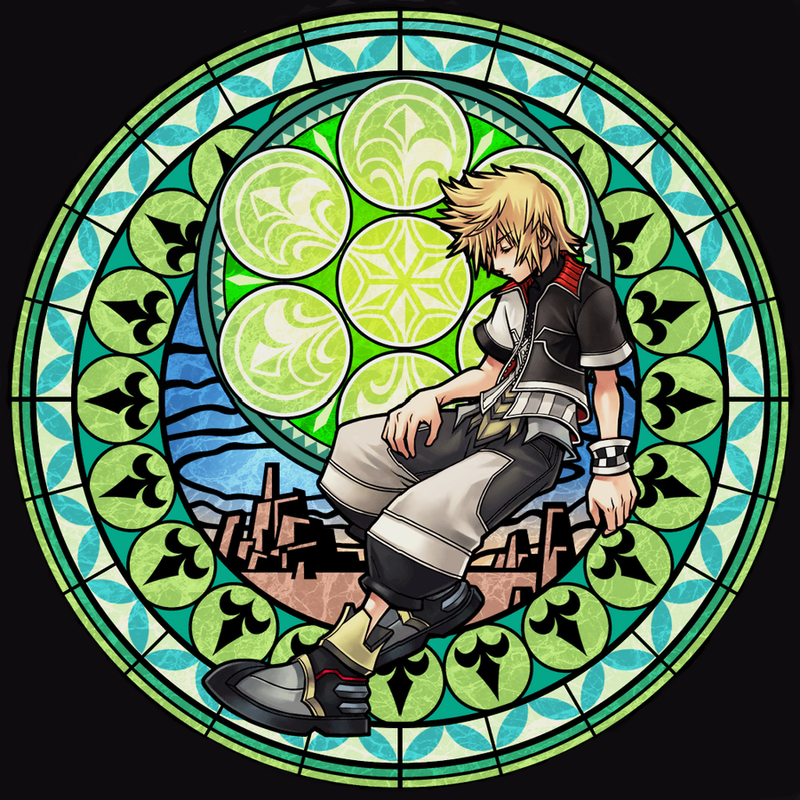 Why randomly plop Ventus without Aqua and Terra? Just Aqua would be acceptable because she has her 0.2 Birth by Sleep chapter to be told, but why just Ventus? We don't really know Ventus true personality before he was split from Vanitas. Maybe he was a dark character during his past and that darkness is what intrigued Xehanort to train Ventus under his wing.